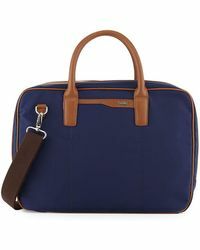 Cole Haan is a prestigious American heritage brand dating all the way back to 1928, when it was established in Chicago as a producer of top-quality footwear. 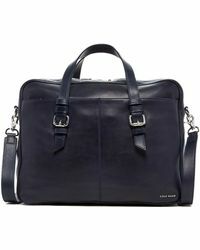 Throughout the decades it has evolved into a holistic lifestyle brand offering leather goods and apparel of unrivaled quality, including this luxurious selection of Cole Haan briefcases. 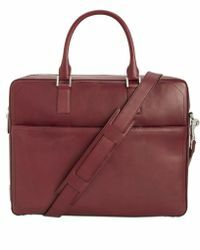 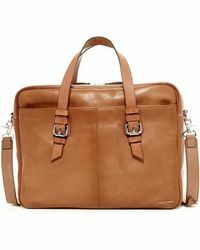 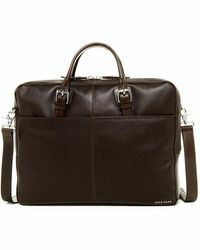 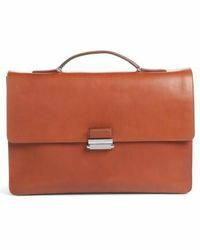 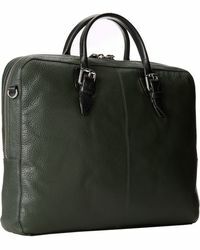 Sharp, professional and supremely chic, Cole Haan briefcases will lend unparalleled style to your working closet. 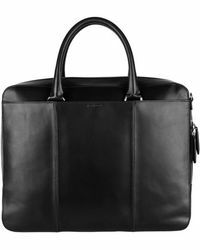 The portfolios and work bags are made with supple pebbled leather and clever storage compartments to keep all your essentials safe and protected.